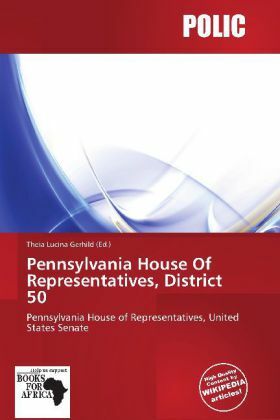 The 50th Pennsylvania House of Representatives District is made up of parts of Fayette County and Washington County and all of Greene County. The Pennsylvania House of Representatives is the lower house of the bicameral Pennsylvania General Assembly, the legislature of the U.S. state of Pennsylvania. There are 203 members, elected for two year terms from single member districts. Following the 2010 elections, the house consisted of 112 Republicans, 91 Democrats. Republican Sam Smith was elected Speaker of the House on January 4, 2011. In 2002, a State Representative district had an average population of 60,498 residents.